The Rolex China Sea Race is a 565nm Category 1 Offshore Race is run under the auspices of RORC, and takes competitors from Hong Hong, China to Subic Bay in the Philippines. On 7 April 1962, three yachts from RHKYC, one from Manila and one from Japan crossed the line at the start of the first China Sea Race. The yachts were escorted over the first 100 miles of their 600 mile journey by two minesweepers of the Hong Kong Royal Naval Reserve. The finish was off Corregidor Island, crossing a line formed by vessels of the Philippines Navy, to be met by members of the Manila Yacht Club who had co-operated most generously with the Royal Hong Kong Yacht Club in all the arrangements. 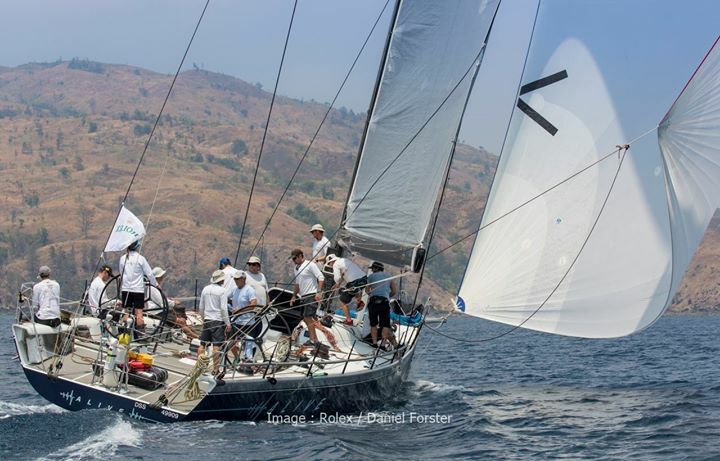 Due to no radios being on board the yachts, Chris von Sydow’s Reverie crossed the finish line after six days’ racing to find out that they were in first place. The China Sea Race was subsequently held as a biennial event. In 1964 it attracted 12 entries and in 1966, 13, including the famous ketch Stormvogel. With each successive race, the event grew bigger. In 1968, it was included for the first time in the newly organised World Ocean Racing Championships and in 1972 it was officially recognised by the Royal Ocean Racing Club. Since then it has continued to attract interest and, as an undisputed Asian blue-water classic, has served to draw the attention of the international yachting fraternity to Hong Kong and Southeast Asia. In 2016, RP66 Alive broke the 16 year-old Race Record by just under 12 minutes, finishing in 47h 31m 08s.